Colorado offers travelers unsurpassed access to the Rocky Mountains—whether your passion is exploring old mining towns, finding the best run at some of the world's best ski resorts, or roughing it in Rocky Mountain National Park. There's enough here to keep anyone busy year round. 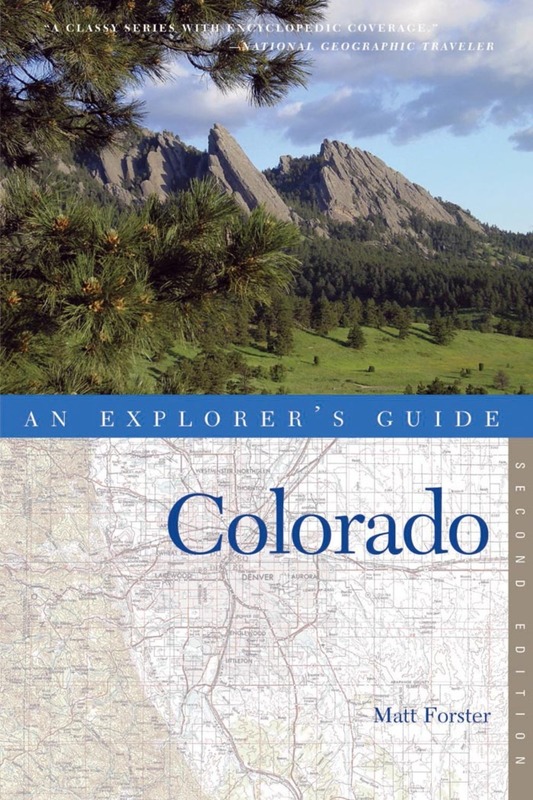 Explorer's Guide Colorado covers everything a traveler should see and do in this great state. Whether you’re looking to break trail in virgin powder on a winter getaway or sample fresh local produce from a roadside farmstand in the summer sunshine, Matt Forster is a great companion for your Colorado trip. He provides indispensable information on everything from sources of outdoor equipment rental to the best scenic back roads. The best inns, B&Bs, vacation cottages, and lots more are all covered here—from birding in the eastern plains to winery tours in Grand Junction—and everything in between. Features include hundreds of dining reviews as well as opinionated listings of inns, B&Bs, hotels, and vacation cottages. There are numerous up-to-date regional and downtown maps, and like all Explorer's Guides, this one provide handy icons that point out places of extra value, family-friendly establishments, wheelchair and wi-fi access, and lodgings that accept pets.